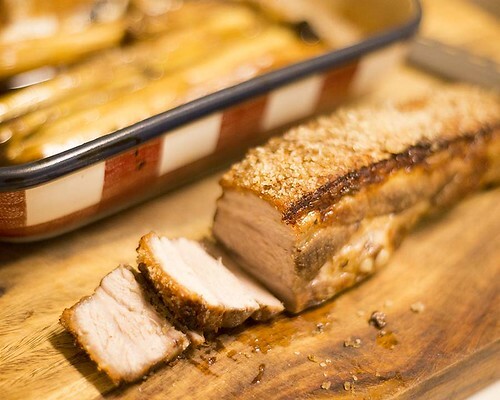 Crispy, what's not to like, Roasted, what's not to like, Pork, what's not to like? Combine all three and you have a winner, winner, porkalicious dinner. The nice crunchy crust on the fat layer and juicy tender meat. 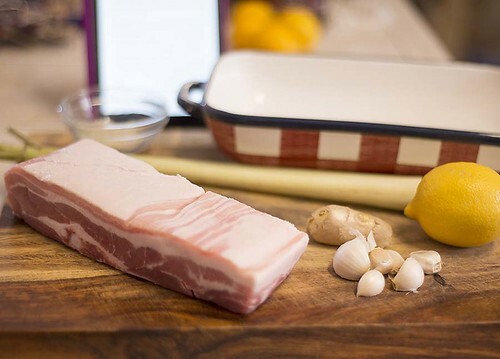 Pork belly, salt, lemongrass, ginger, garlic, and lemon. Watch these elements work their magic. I didn't have the thyme sprigs the recipe called for so I proceeded without them. and cut the unpeeled ginger into 1/3 inch coins. Spread them on the bottom of your baking dish. 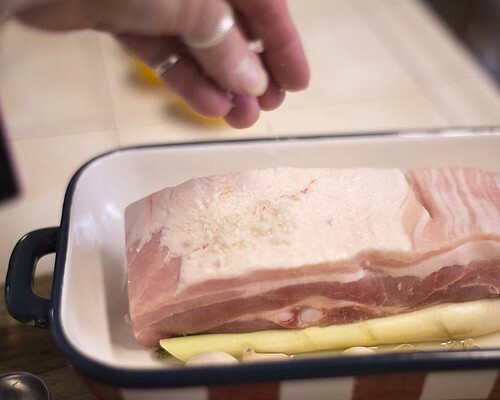 Place the pork belly on the aromatics and pat the top dry with paper towels. squeezing the juices over the pork as you do. 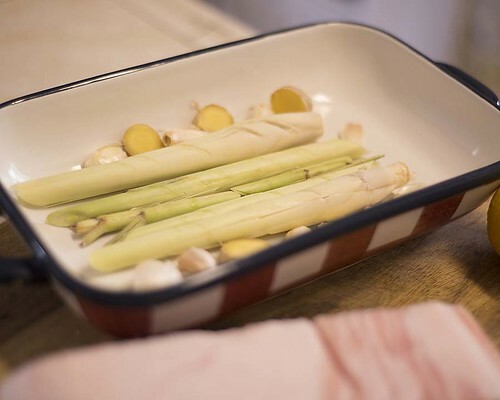 and place in the oven for an hour. 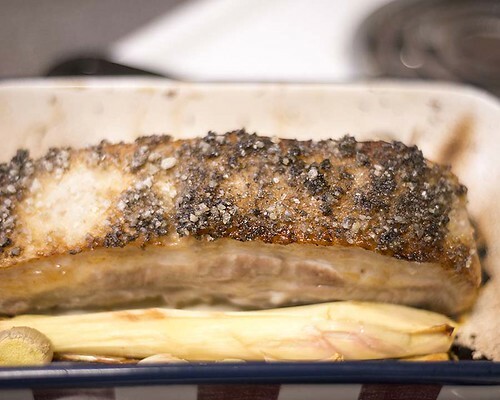 The crackling layer after an hour. 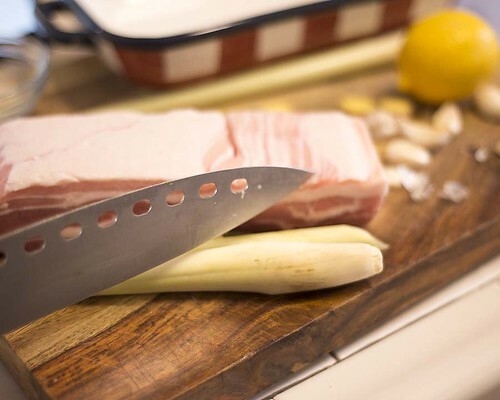 Scrape off and discard the salt. 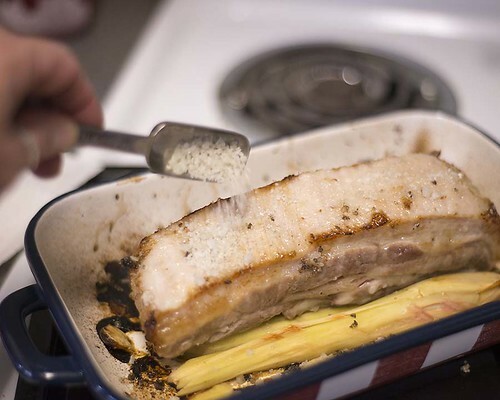 Spread the remaining salt evenly over the pork belly. Return to the oven for another hour. continue roasting for another hour. The final product, crispy skin, and tender juicy meat. 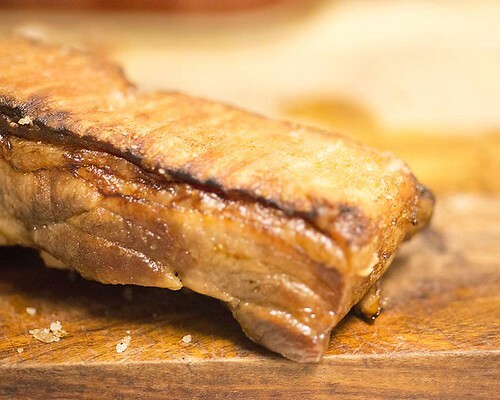 What every pork belly should be. In the cookbook, the recipe name is "Roasted Pork Belly with Crushed Butternut Squash and Apple Walnut Salsa." You have to make this, you won't be sorry. herbs, skin side up, and use paper towels to thoroughly pat the meat dry. 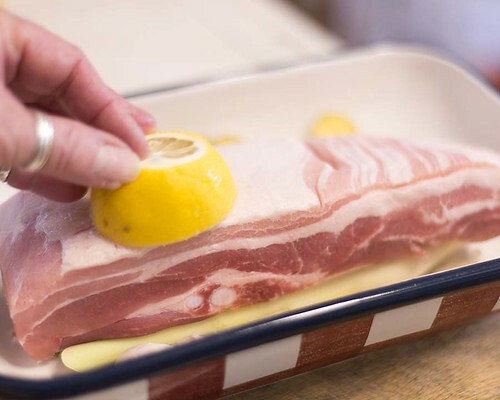 Rub the lemon all over the pork skin, squeezing the juice out as you rub. very crisp and charred at this point but don't worry; this is normal. oven. 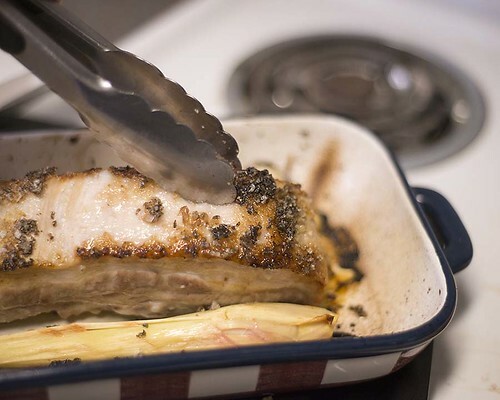 Cook for another half an hour, until the crackling, is solid and hard. 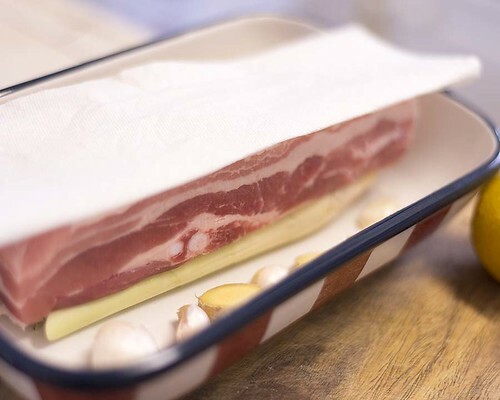 wet the sides or skin of the pork belly, followed by 1 2/3 cups of water. 230°F and cook for a final hour. 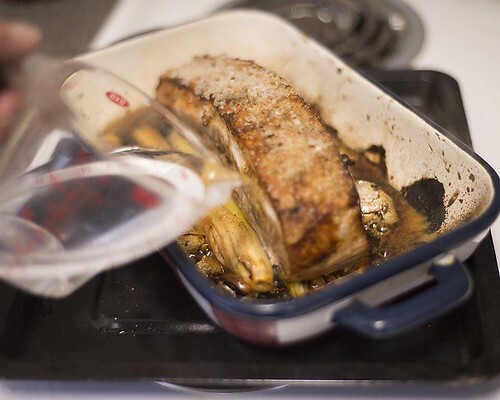 Remove from the oven and set aside to rest for 30 minutes.